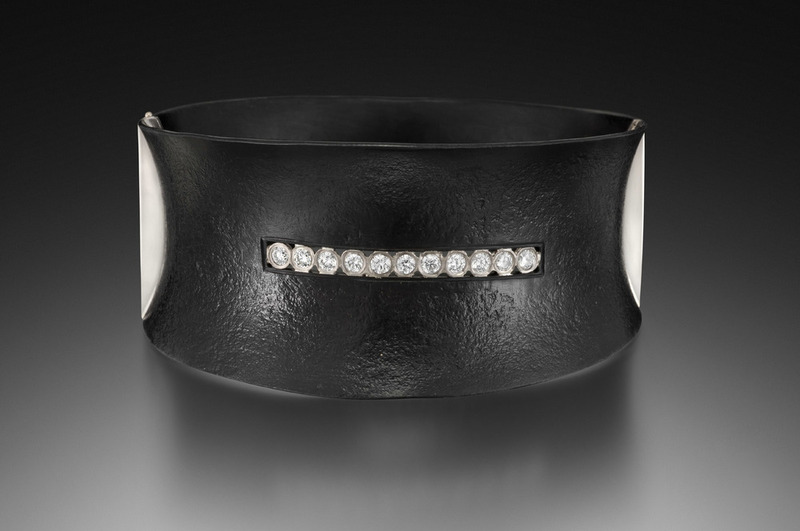 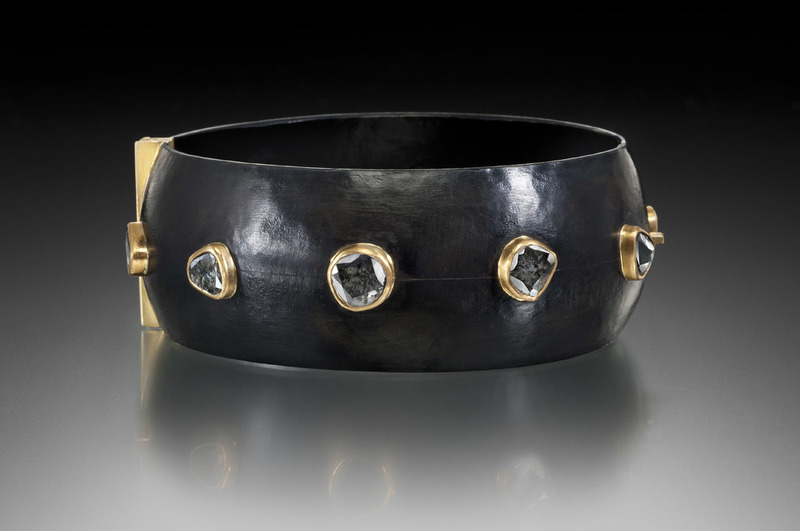 Each Pat Flynn bracelet is custom fabricated from 18 karat gold, iron, and gemstones. 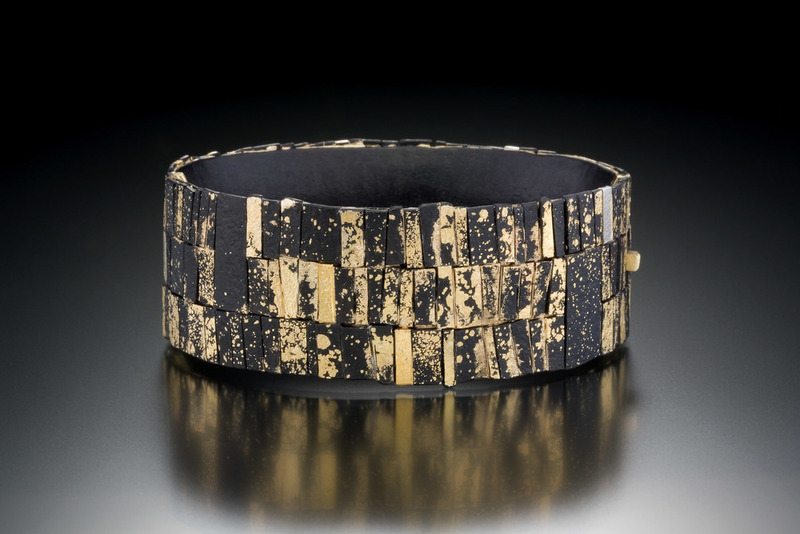 Forged, formed and textured steel is hand engraved and etched, creating a depth in surface texture unique to Pat Flynn jewelry. 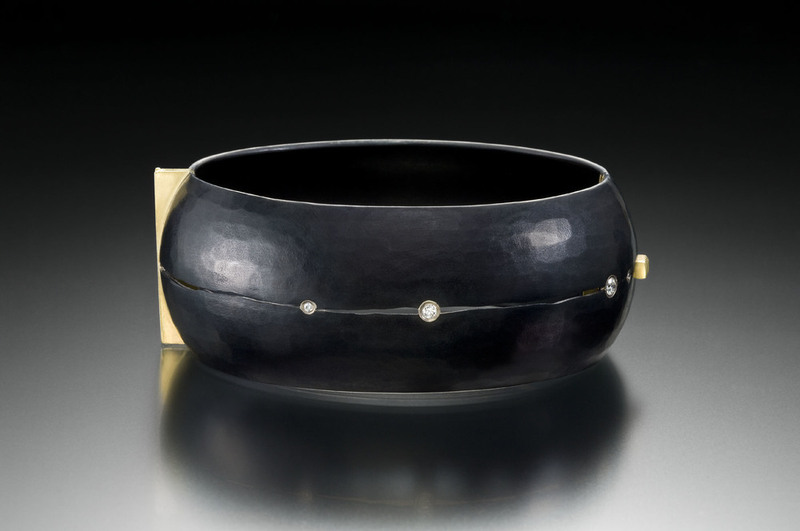 22 karat gold is fused to the surface in a free-form expression of Pat Flynn's blacksmithing. 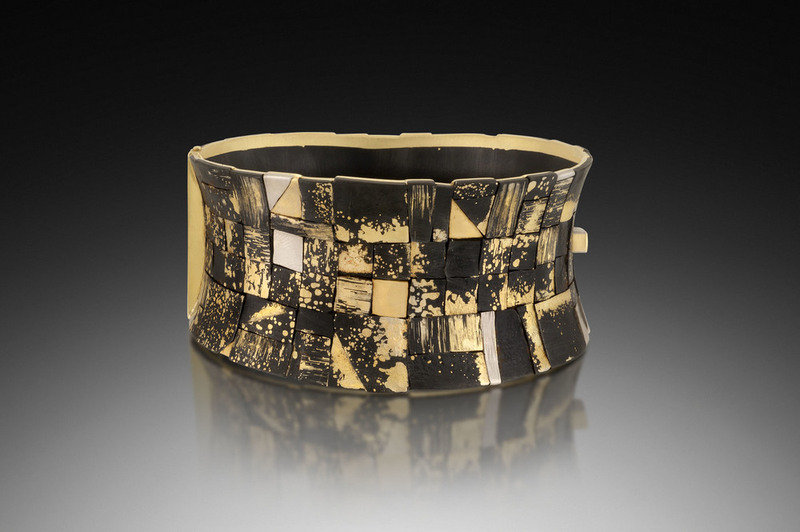 Meticulous hinges and box locks individually hand crafted by Pat Flynn add a satisfying mechanical component to each bracelet.